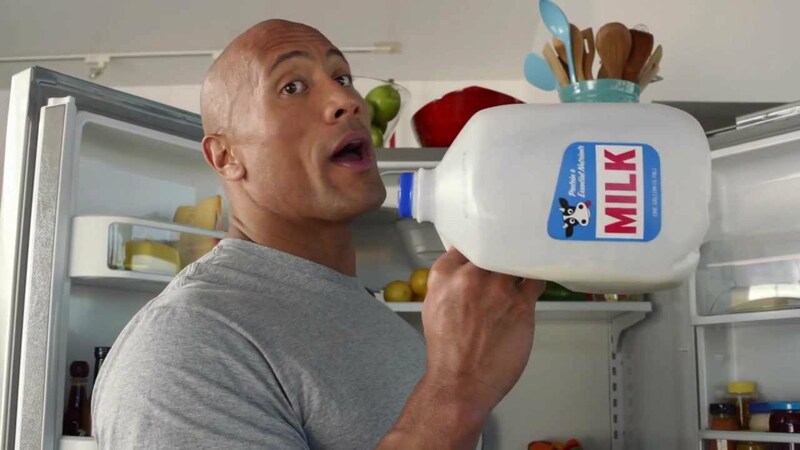 To me, remarketing is like milk. From birth, milk is vital to our well-being. We’re given milk as babies to help us grow big and strong, but it doesn’t stop there. As adults we encouraged to keep on painting our upper lips white to keep our bones healthy. Just like milk, remarketing strengthens bones, enhancing every channel of marketing and advertising you undertake. You probably know that it’s the calcium in milk that does the good, but what does remarketing do to provide the same skeleton-toughening service? To appreciate the importance of remarketing, you first need to understand that there is no such thing as a free click to your website. Every single visitor has a cost associated to them. Yep, every single one. Unconvinced? Just think about it for a second. You spent money having your website designed, then built. You spent money on marketing it, optimising it and creating content for it. No matter if you outsource all this or do it in-house, it takes time to build, market, and maintain an awesome website. And what does time equal? Website traffic is the core of any online businesses success. After all, you can’t make sales if no one’s coming to your site. So how do you enhance this traffic to boost your return on investment? How do you strengthen your marketing skeleton? Getting good, relevant traffic flowing is always satisfying, but a website visit without a sale or lead capture isn’t worth all that much to you. If a person leaves your site and never returns, then you’ve wasted the money you spent getting them there in the first place – not ideal if you’re running an SEO, PPC, or other. It could be that a visitor was actually really interested in what you had to offer, but got distracted researching other options/responding to emails/watching puppy videos. There was a real chance here, but a potential customer has left your site and you’ve missed out on a sale. Money down the drain. Remarketing changes all this. A careful, considered remarketing campaign allows you to stay in touch with every single visitor that comes to your site, no matter what channel they’ve used to arrive there. Like a safety net, remarketing is your website’s way of catching your visitors when they fall. A careful, considered remarketing campaign allows you to stay in touch with every single visitor that comes to your site, no matter what channel they’ve used to arrive there. Remarketing ads will be very familiar to you. Whenever you visit a website that uses remarketing, you’ll see adverts for that business appear as you continue to browse other websites. Ever gone to check your favorite blog and seen an ad for that clothing store you were looking at the day before? That’s remarketing in action. Still confused? Google has a snazzy infographic that makes it super clear. The beauty of remarketing is that it can be used for so much more than just reminding people that they visited your website. You can tempt people with a special offer or discount code, use snazzy animated image ads to grab people’s attention, or even showcase the very product they were viewing to really build up their desire and bring them back to purchase. Remarketing is especially useful for businesses selling big ticket products or services. People preparing to spend a large chunk of money are not likely to visit one site and decide to purchase straight away. Do you book your holiday from the very first site you visit? I didn’t think so. Think that I’m overstating the power of remarketing? Think again buster. Would you believe that a well-implemented remarketing campaign can bring you a ROI of 1,300%? That’s the result Watchfinder, a UK seller of pre-owned premium watches, saw after getting savvy with their remarketing. By focusing on their non-converting visitors and targeting them with ads based on their place on the buying path, Watchfinders were able to boost their conversions which lead to an increase of ROI to 1,300% in just six months and a site wide increase in Average Order Value of 13%. You can read more about Watchfinders incredible remarketing campaign here. People that click on remarketing ads have a much higher level of buying intent; they’ve checked you out before and they’re coming back because they like what they’ve seen. Likewise, if they’re not interested they’re very unlikely to click on your ads and therefore won’t cost you a thing. Want more information on how remarketing can work for your business? Call us today on +44 (0)1865 684999 or contact us online.